UDOO Neo Full is an open source Arduino Uno compatible single board computer. It is equipped with an NXP® i.MX 6SoloX hybrid multicore processor composed of one ARM® Cortex-A9 core running up to 1 GHz and one Cortex-M4 core running up to 227 MHz for high CPU performance and real-time response. Zephyr was ported to run on the Cortex-M4 core only. In a future release, it will also communicate with the Cortex-A9 core (running Linux) via OpenAMP. Other hardware features are not currently supported by the port. The UDOO Neo Full board was tested with the following pinmux controller configuration. The MCIMX6X SoC is configured to use the 24 MHz external oscillator on the board with the on-chip PLL to generate core clock. PLL settings for M4 core are set via code running on the A9 core. The MCIMX6X SoC has six UARTs. UART5 is configured for the M4 core and the remaining are used by the A9 core or not used. The M4 core does not have a flash memory and is not provided a clock at power-on-reset. Therefore it needs to be started by the A9 core. The A9 core is responsible to load the M4 binary application into the RAM, put the M4 in reset, set the M4 Program Counter and Stack Pointer, and get the M4 out of reset. The A9 can perform these steps at the bootloader level or after the Linux system has booted. You have to choose which RAM will be used at compilation time. This configuration is done in the file boards/arm/udoo_neo_full_m4/udoo_neo_full_m4.dts. If you want to have the code placed in the subregion of a memory, which will likely be the case when using DDR, select “zephyr,flash=&flash” and set the DT_FLASH_SIZE macro to determine the region size and DT_FLASH_ADDR to determine the address where the region begins. If you want to have the data placed in the subregion of a memory, which will likely be the case when using DDR, select “zephyr,sram=&sram” and set the DT_SRAM_SIZE macro to determine the region size and DT_SRAM_ADDR to determine the address where the region begins. Below you will find the instructions how a Linux user space application running on the A9 core can be used to load and run Zephyr application on the M4 core. UDOONeo - Failed to Stop M4 sketch: reboot system ! UDOONeo - Failed to Start M4 sketch: reboot system ! It is necessary to provide the address if the binary is copied into a memory region which has different mapping between the A9 and the M4 core. The address calculated from the stack pointer value in the binary file would be wrong. It is possible to modify the mqx_upload_on_m4SoloX utility source code to not exchange the information with the M4 core application using shared memory. It is also possible to use the imx-m4fwloader  utility to load the M4 core application. One option applicable in UDOOBuntu Linux is to copy the binary file into the file /var/opt/m4/m4last.fw in the Linux filesystem. The next time the system is booted, Das U-Boot will load it from there. Another option is to directly use Das U-Boot to load the code. 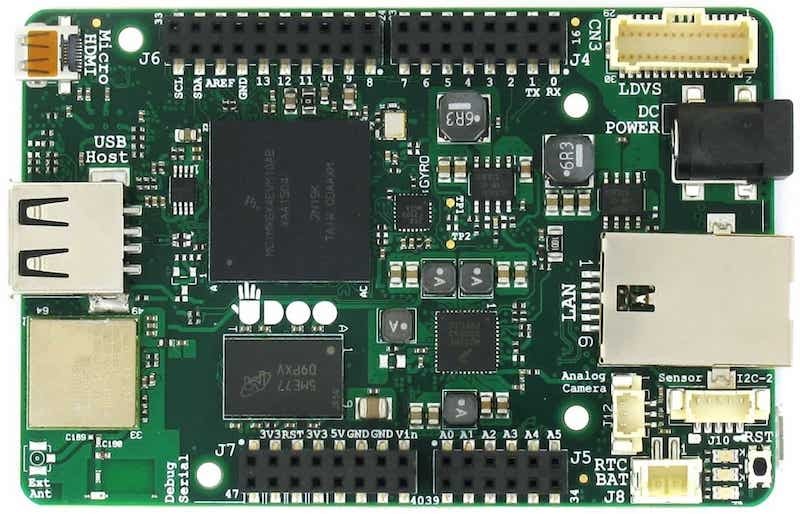 The UDOO Neo Full board includes pads for soldering the 14-pin JTAG connector. Zephyr applications running on the M4 core have only been tested by observing UART console output. © Copyright 2015-2019 Zephyr Project members and individual contributors Last updated on Apr 20, 2019.